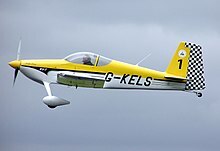 An aircraft registration is a unique alphanumeric string that identifies an aircraft, in similar fashion to a licence plate on an automobile. In accordance with the Convention on International Civil Aviation all aircraft must be registered with a national authority (such as the Federal Aviation Administration or Transport Canada), and furthermore, they must carry proof of this registration in the form of a legal document called a Certificate of Registration at all times when in operation. Most countries also require the aircraft registration to be imprinted on a permanent fireproof plate mounted on the fuselage for the purposes of post-fire/post-crash aircraft accident investigation. This page was last changed on 23 January 2016, at 12:06.